Intelligent Car Schemes. Trusted by the Industry. 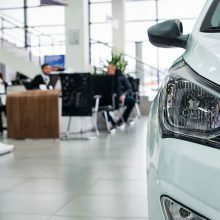 in the implementation, provision and funding for Employee Car Ownership, Car Benefit Solutions (CBS) are recognised as the experts in the design and build of cost efficient car schemes for automotive and corporate sectors. More than 20,000 drivers would recommend CBS to a colleague or family member. Our Net Promoter Score (NPS) is 90.4, with an average rating of 9.8/10. 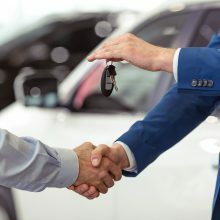 By offering employees the opportunity to ‘drive the brand’ CBS schemes are structured to deliver product experts and brand ambassadors to franchise dealerships throughout the UK with flexible funding packages that include zero deposit, fixed low monthly repayments and no credit reference agency check. CBS was established in 2002 when tax legislation on company cars changed to a CO₂ emissions based rating. 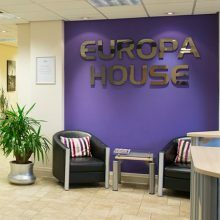 The company set out to offer financially and operationally efficient value adding Employee Car Ownership Schemes to corporate clients, commencing operations from a small office in Bury with a team of just 5. The first scheme launched in July that year. Live Fleet Reaches 2,000 Cars. CBS expertise was gathering momentum quickly. The 3rd manufacturer brand launched a scheme with CBS and the business surpassed 2,000 live fleet, a huge milestone at the time. 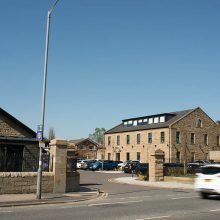 Later that year the business prepared to relocate to The Barracks, a former Lancashire Fusiliers Regiment museum transformed into a modern office space. The expertise of a growing CBS team and successful delivery of its solutions across the automotive sector set the business up for a period of significant growth over the following 3 years, with CBS more than doubling in size. CBS celebrated bringing on its 20th manufacturer and surpassed 7,000 live vehicles in September 2015. CBS Reach £1bn in Vehicle Sales. Today CBS aims to provide a solution for every eligible employee whether they are entitled to a company car or not. We operate schemes for 25 motor manufacturers across over 2,000 UK dealership sites; delivering more than 30,000 annual registrations to the Automotive sector. Car Benefit Solutions is the leading provider of Employee Car Ownership Schemes in the UK. Sponsored by motor manufacturers and facilitated by CBS, our schemes are designed to deliver mutual benefit and value throughout the automotive sector from manufacturer to franchise dealer and employee driver. Car benefits delivered under our solutions are not subject to company car tax or National Insurance. It’s not just what CBS do. It’s the way we do it. The implementation and delivery of CBS schemes sets us apart in our industry. Bespoke systems, inclusive consultancy and reporting are all part of a complete solution that delivers control, compliance and convenience to every CBS customer as standard. From consultancy to fleet management, CBS is the market leader in the design, provision and funding for Employee Car Ownership Schemes and offers comprehensive full service solutions unparalleled by any other provider. Quite simply, our core values define who we are as a company, guide us as people and inspire us as a community. Each and every member of the CBS team lives and breathes these overarching principles in unison to ensure our customers expect excellence, our employees are empowered and our business remains respected. We work hard and with passion to make a difference, to achieve our goals, to be the best, so that we are always proud of ourselves, our team, and of CBS. We do things in the right way, to build trust in each other, to reward the support and loyalty shown by others, because we are a team and because we care. We strive for excellence and we challenge ourselves to always ask questions, to listen to others and to seek out new ideas so that we may learn, improve and evolve. We willingly take on our responsibilities and are committed to owning the challenges that we face and seizing the opportunities that present themselves. We come together to enjoy our work and enjoy being part of a team so that together we make the journey a fun one.